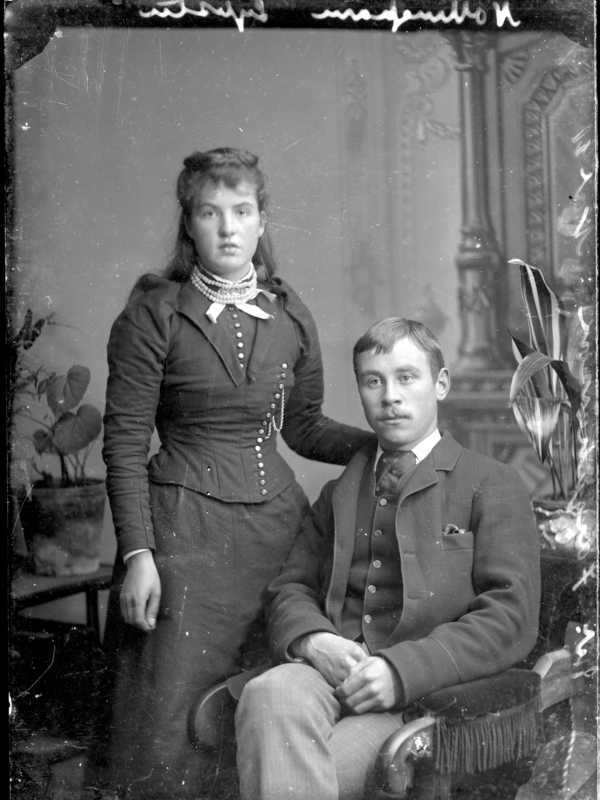 Portrait of a couple. Ordered by Mr Farquharson, Nottingham Mains Lybster, July 1891. I strongly suspect this to be Alexander Farquharson born abt. 1839 in Kingoldrum, Forfarshire and his wife Joan Downie Gillon. Alexander, along with his wife and 4 children appears in the 1891 census living at Forse House, Nottingham. His occupation being "Gamekeeper". Alexander was the brother of my husband's 2x great-grandfather who was also a gamekeeper for Sir Charles Lyell & his sister Sophia Georgina Lyell at the Kinnordy & Shielhill estates in Forfarshire.